One of the features of Robert Heller's act was his presentation of Second Sight. He claimed to have invented the illusion, though that is not exactly correct. Robert-Houdin had been performing it long before Heller, in fact the first time Robert Heller had seen it was when Houdin came to London to perform. And Chevalier Pinnetti was performing Second Sight long before Robert-Houdin. So Heller's claim to have invented the effect was more bragging for promotional purposes than truth. 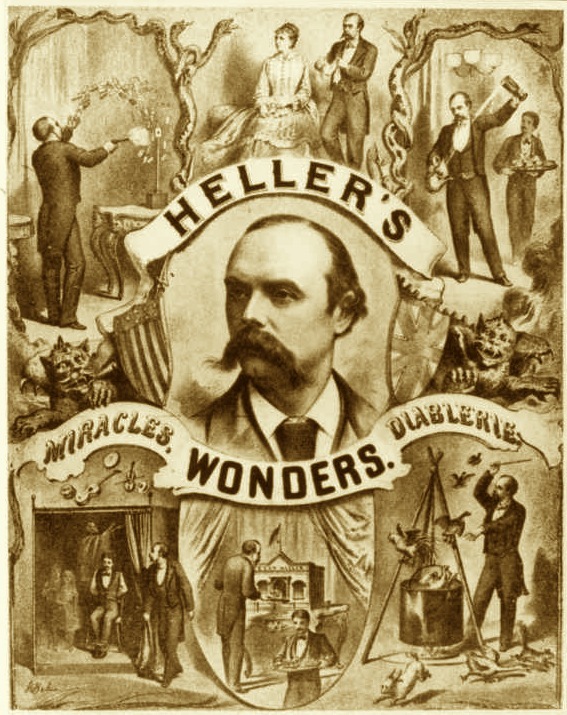 The above poster shows Heller performing Second Sight with his assistant, the image is in the top center section of the poster. Robert Heller did contribute to the act in a significant way however. 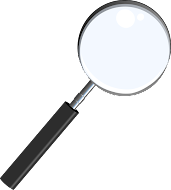 His assistant Haidee Heller, sat upon a sofa while Heller held up hidden objects and Haidee correctly divined what they were. Most of the performers of the time who presented this type of act used a similar method. Newspapers often printed exposures claiming an elaborate code words were used. But it was when there was no dialog that audiences and magicians alike were dumbfounded. Even though, they did not speak a word, still Haidee Heller knew the answers to various questions or revealed hidden objects and so forth. The method that Heller used in the 1800s was the piece of furniture that his assistant was sitting on! The sofa was filled with wires and a battery which ran off the stage to a hidden assistant. A secret assistant in the audience, had a electric button underneath his seat and could tap the button using a type of code to signal the person on the couch. It was diabolical for the time and is yet another example of how magicians often used the latest advances in science to create their illusions. The reason we even know about this Sofa is because of Henry Ridgely Evans the author of The Old And The New Magic. He wrote about visiting Francis Martinka at his home in NYC and while waiting on Mr. Martinka sat upon this odd piece of furniture. Martinka revealed to him it was Heller's Magic Sofa which he acquired after Heller's death. I should note here that Heller had originally requested his props and paraphernalia be destroyed upon his death, but upon his deathbed he changed his mind and requested they be sent to Hartz the Magic Dealer to be sold. There is some debate though on what happened following his death. The props were apparently held by creditors in a warehouse. They obviously made it out of that warehouse somehow, whether they were sold off privately or sent to Hartz Magic Shop I don't know. Francis Martinka wound up with several of Heller's props, but this is the only one I know of specifically. I wish I knew what the others were. Martinka later sold this sofa to a budding young mentalist by the name of Joseph Dunninger. I can't help but wonder where it is today. I will say this, if you know, contact me because I'd like to purchase this piece of furniture. It may still be in the possession of the Dunninger family or it may have been sold off. I don't know but I'd like to find out where it is and again, I'm interested in acquiring it. If nothing else, I'd love to have a color photo of this wonderful piece of magic history. 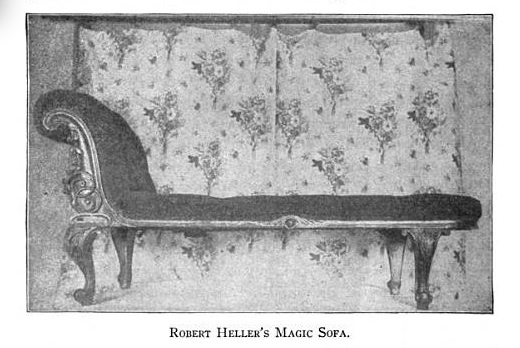 UPDATE: I just read in Houdini's book "The Unmasking of Robert-Houdin" that he believes Heller's sofa was copied after Robert-Houdin's. But I don't think the Houdin sofa is still around today and I'm not sure if Houdin left details as to the methods he used for his Second Sight routine. If it is true, then the Heller Sofa was built in England originally. Excellent stuff, Dean - hope the sofa turns up. That would be something. Thanks! I hope it turns up as well. I've been so intrigued by this ever since I first read about it over a year ago. I have sent out inquiries in the past year but so far have not discovered it's current location. It's possible that it is gone forever. But I'm hoping it resides in a collection somewhere. Can you tell me where Evans writes about sitting in the sofa? I only found a letter from Dunninger (to Evans) in which he describes the sofa (because Martinka later sold the sofa to Dunninger)... but this must've been later...? 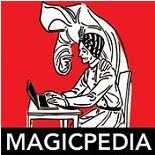 Hi, The information is in Henry Ridgely Evan's book 'The Old And The New Magic', and I think it's on page 219.